The Country Music Hall of Fame and Museum will recall and offer its perspective on the past calendar year with the opening of its first exhibition of 2019, American Currents: The Music of 2018, on Friday, March 8th. The exhibit runs through February 8, 2020. 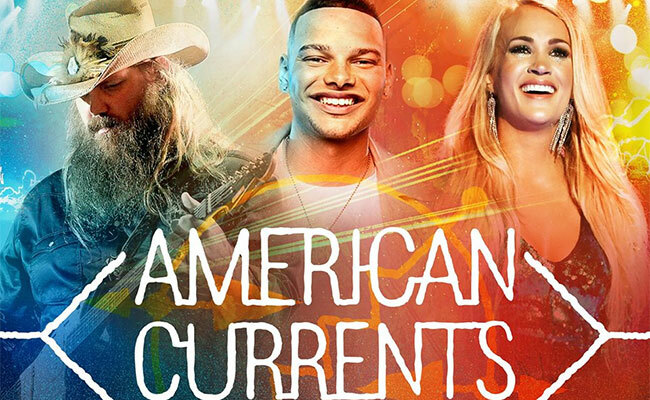 The 2018 class of American Currents is composed of artists, songwriters, broadcasters, and includes: Jason Aldean, John Anderson, Dan Auerbach, Matraca Berg, Bobby Bones, Brothers Osborne, Alison Brown, Kane Brown, Becky Buller, Brad Clawson, Rodney Clawson, Tyler Mahan Coe, Luke Combs, Dan + Shay, Chris Eldridge, Dom Flemons, Florida Georgia Line, Nicolle Galyon, John Hartford, Sierra Hull, Miranda Lambert, Ashley McBryde, Country Music Hall of Fame member Reba McEntire, Justin Moses, Carly Pearce, Pistol Annies, John Prine, Missy Raines, Country Music Hall of Fame member Tex Ritter, Jeannie Seely, Chris Stapleton, Molly Tuttle, Carrie Underwood, and Keith Urban. American Currents changes annually to reflect the top stories and trends of the past year in country music. Museum visitors learn about the deep history of the music in the permanent exhibition, Sing Me Back Home, and they get a glimpse of country music’s ongoing evolution as a popular art form in American Currents, which highlights the full spectrum of activity in country music. American Currents: The Music of 2018 is made possible by support from Hilton.